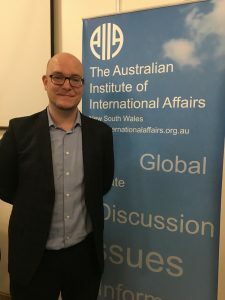 On Tuesday 10th of October at the Glover Cottages, Dr Max Grömping, a research fellow at the University of Sydney, discussed the global patterns of electoral integrity and what older democracies can learn from younger ones. He emphasised that having elections and electoral integrity does not necessarily equate to a democratic system of governance. Dr Grömping first examined the empirical evidence of what we know about elections and electoral integrity. Elections are an important part of civic life. They are the only way most people can actually participate in politics. However, many elections fail to adhere to international standards as defined by the International Covenant on Civil and Political Rights. Electoral malpractices and fraud often degrade elections. Rigging elections is a preferred (because usually peaceful) way for many leaders to maintain their grip on power. A façade of political competition may feature in an election cycle, but electoral authoritarianism often skews results. Dr Grömping observed that the public in many countries are disillusioned by elections results: the global turnout for voting has declined by 10% in the last 25 years. In Australia, a quarter of the population think that fraud is a widespread problem, and two fifths think that electoral malpractices distort the outcome of an election. As a result, the public are often more critical than experts about the fairness or otherwise of elections. Dr Grömping attributed this to the “framing wars” of the media. For example, in the United States, Republicans believed that the biggest problem in the 2016 election were “ineligible” non-national votes, whereas Democrats believed that the biggest problem was voter suppression. Not only were these claims directly opposed to each other, but they were largely fictitious. But the media presented them as facts to the voting public. The result was that an individual’s belief in fraudulence at both ends of the spectrum was reinforced. Dr Grömping elaborated on the influence of the media, particularly social media. He argued that media distortion creates an echo chamber that serves to reinforce an individual’s belief. The problem is exacerbated when there is an oversaturation of political bots and algorithms that can intensify an individual’s echo chamber. Leaving us on a somewhat optimistic note, Dr Grömping provided several lessons that we should follow if we wish our democratic processes to remain free and fair. The first is to increase voter participation. The second is to be increasingly alert to the veracity or otherwise of so-called ‘fake news’. Third, older democracies such as Australia and the United States could update their archaic laws by learning (surprisingly) from robust laws that exist in countries such as Ghana, Nigeria, and Indonesia to counter electoral fraud and malpractice.